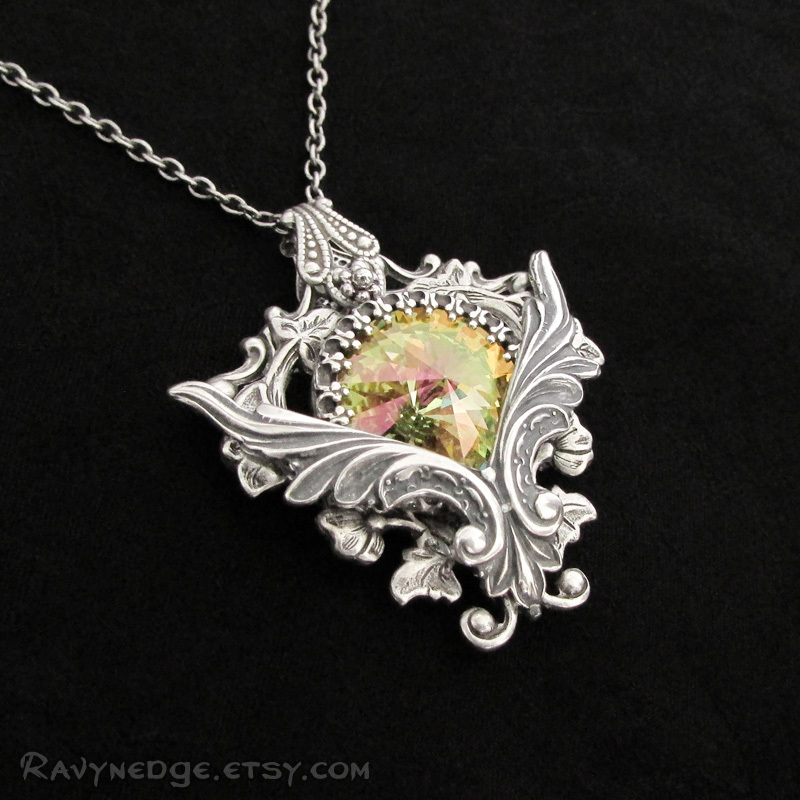 Springtime Necklace - Luminous Green Swarovski and Silver Pendant by RavynEdge. 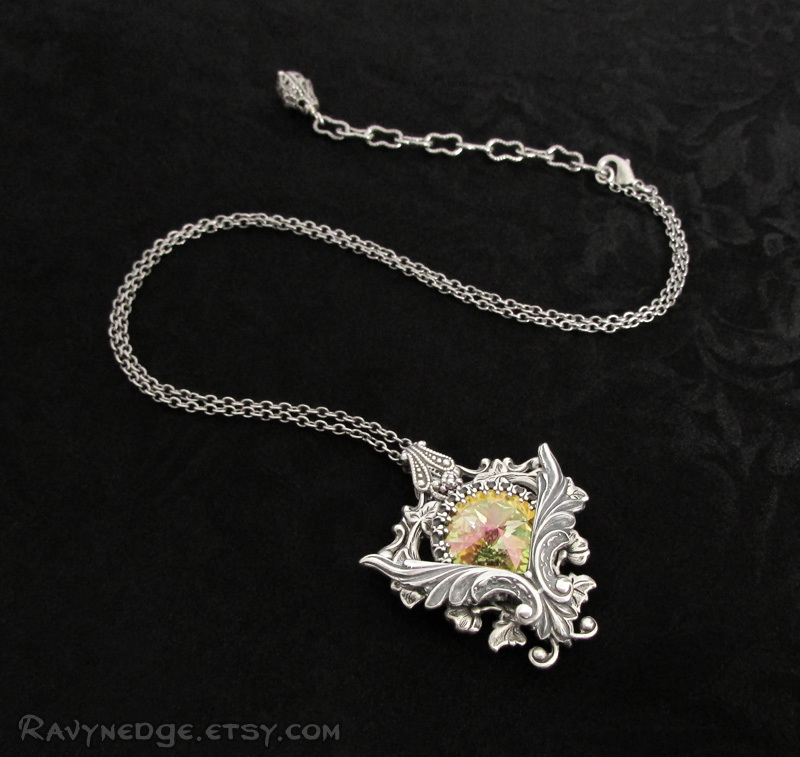 Embrace the spring with this exquisite necklace! 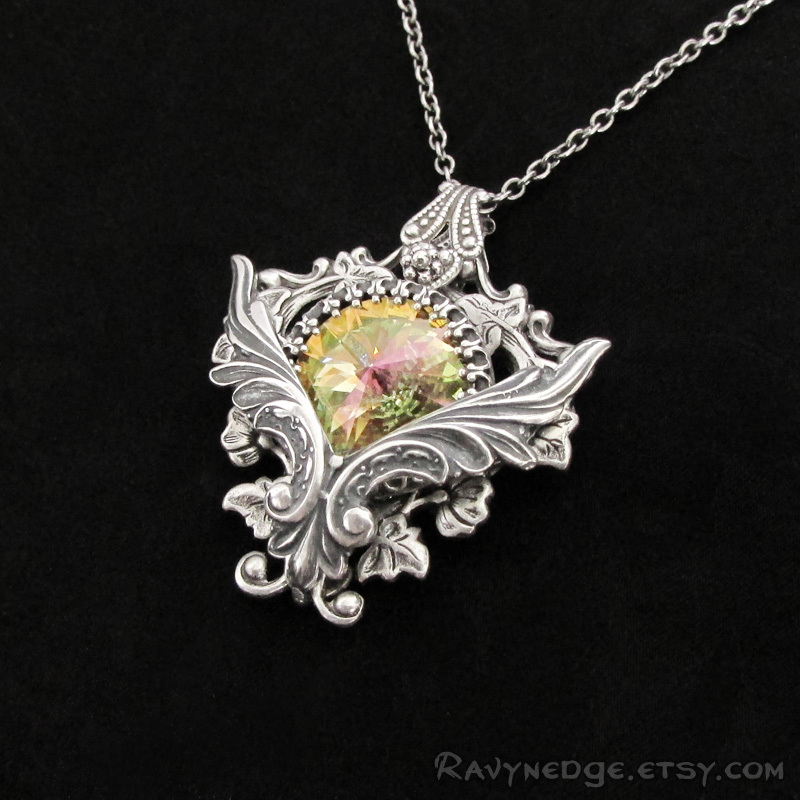 A breathtaking luminous green Swarovski rivoli crystal rests in layers of ornate filigree. Crystal luminous green displays a light shimmering green color-shifting with accents of violet and pink in reaction to the light. 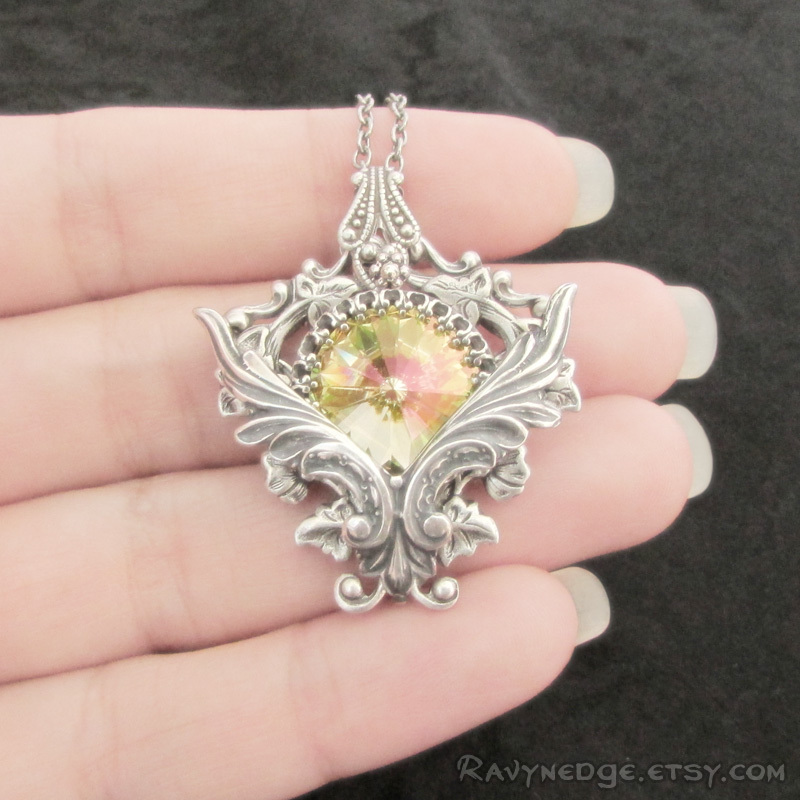 Including the bail, this pendant measures 1.46 inches (3.7cm) tall and 1.26 inches (3.2cm) wide. The chain adjusts from 16 to 18 inches (40.6 to 45.7cm) and closes with a lobster clasp. I am happy to make custom measurements for free at your request! 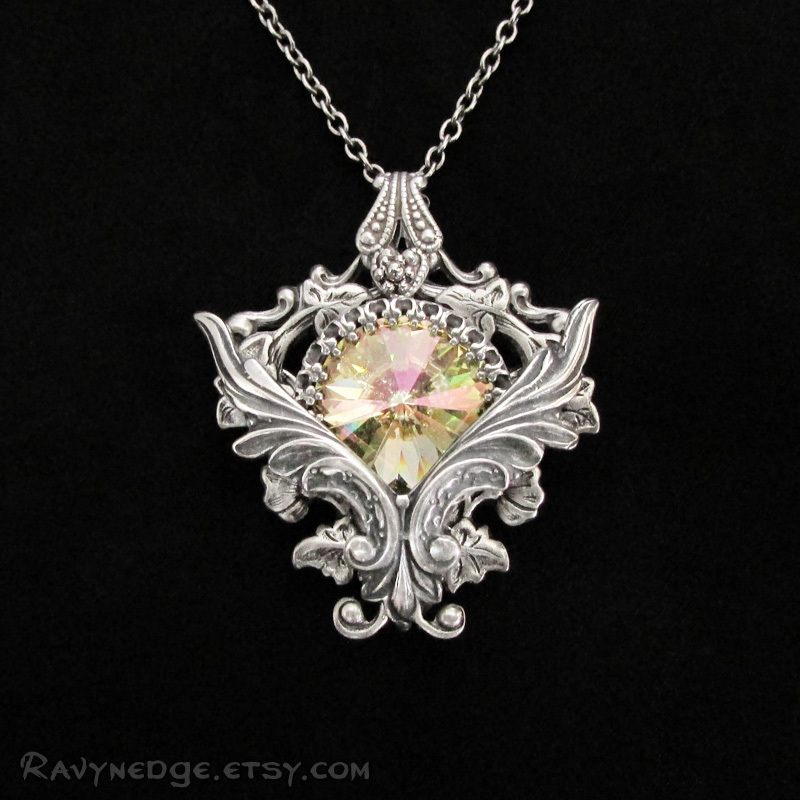 All metal is sterling silver plated filigree with an oxidized finish to give that wonderfully romantic and gothic look with a vintage appeal!